The BBC is stockpiling suitable programming in preparation for the start of a dedicated 4K/UHD channel. The Corporation, as part of its relationship with commercial arm BBC Worldwide, has been producing 4K programming for many years. This content usually comes from the BBC’s Natural History Unit in Bristol and mainly comprises quite stunning factual programming shot in – at least – 4K and High Dynamic Range. It is understood that the dedicated channel will go on air about a year from now and starting with long-form coverage of the 2017 Wimbledon Tennis Championships. The BBC – usually with help from Sony – has trialled 4K at the All England Club since 2013. Last year, Wimbledon’s Number 1 Court saw tests and closed-circuit transmissions of 8K managed by Japan’s NHK public broadcaster. NHK is already working with the BBC on its jointly-developed Hybrid Log-Gamma (HLG) technology which is backward compatible with today’s normal Standard Dynamic Range displays. The BBC has also tested 4K workflow processes since 2014, as well as various data compression technologies, in readiness for transmission to begin. It captured some of the 2014 Commonwealth Games in 4K, for example. At one stage it was thought that 4K transmissions might have been announced for 2016 broadcasts, but have not materialised. Last week, GfK issued statistics which showed that by the end of 2017 some 5 million British homes would have bought 4K sets. 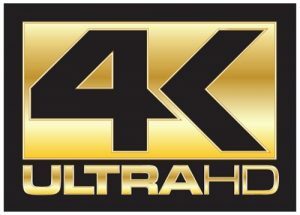 Viewers can already watch 4K/UHD programming, on services such as Netflix and Amazon Prime, as well as on UHD Blu-ray devices.